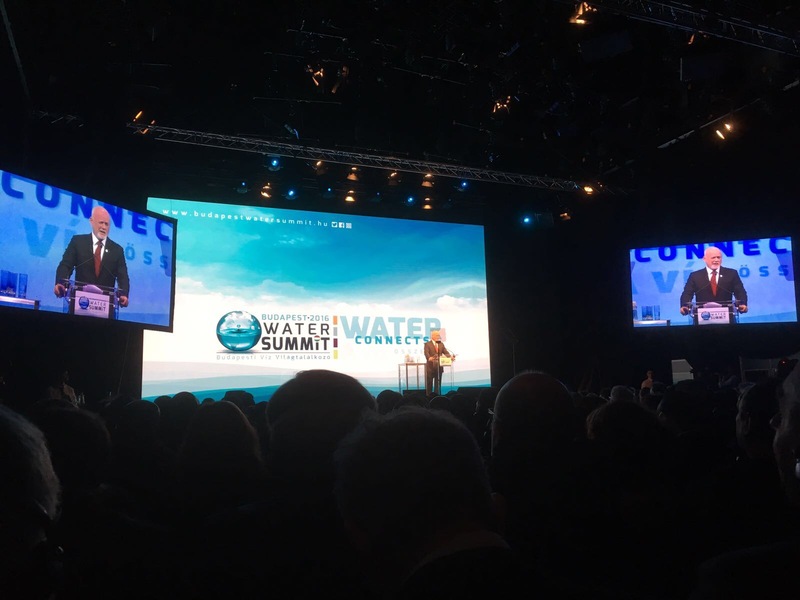 The President of the UN General Assembly, H.E Mr. Peter Thomson, attended the High-level opening segment of the Budapest Water Summit hosted by the Government of Hungary, on 28 November 2016. The purpose of the summit is to promote the availability and sustainable management of water and sanitation for all, as captured in Sustainable Development Goals (SDG6). The visit to Budapest was the last leg of the President’s trip to Europe to put focus on the importance of the implementation of the Sustainable Development Goals. In addressing the Summit, President Thomson said, “The 2030 Agenda was premised on the recognition of the central importance of water and sanitation to sustainable development – both as a Goal in itself and as a fundamental element for achieving all the other SDGs”. He emphasised there was “an immediate need to change production and consumption patterns if we are to meet this Goal and the 2030 Sustainable Development Agenda as a whole”. The President also underscored the importance for governments to include water and sanitation-related issues in national development planning and budget processes, including for education and awareness-raising efforts to drive more sustainable water use and address better waste solutions. The President held bilateral meetings with H.E. János Áder, President of Hungary, H.E. Mr. Péter Szijjártó, Minister of Foreign Affairs and Trade, and H.E. Mr. István Hiller, Deputy Speaker of the Hungarian Parliament. At these meetings he thanked the Government of Hungary for its leading role on the implementation of SDG6 and encouraged continued endeavors to promote innovation and mobilize investment on SDG6 worldwide. Their discussions also covered migration issues, including the ongoing efforts of the United Nations to develop a global compact on migration and refugees. While in Budapest, President Thomson visited the Hungarian Academy of Sciences where he engaged with scientific community on smart solutions to ensure the implementation of SDGs, in particular on water and sanitation as a cross cutting issue.